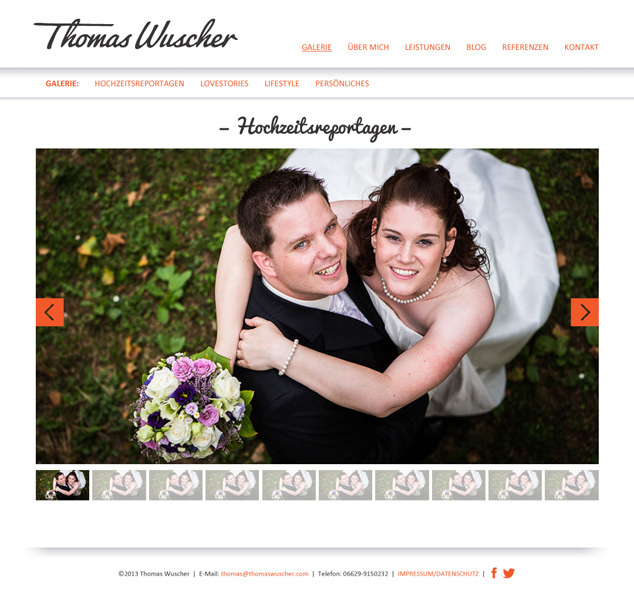 Visual Lure recently designed a new logo for Thomas Wusher, a professional photographer from Germany. 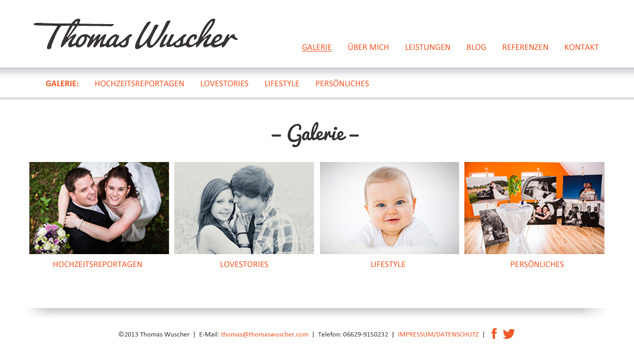 After we completed his logo, he contracted us to design a new website. 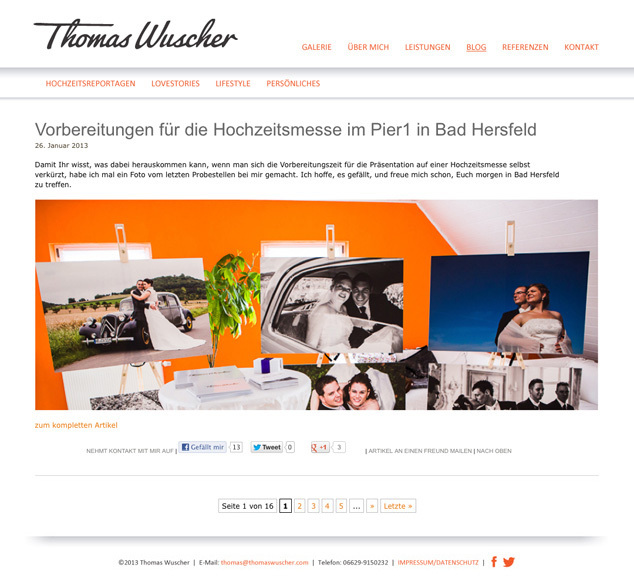 Thomas wanted the new site to have a clean white “look and feel” with accents of orange. 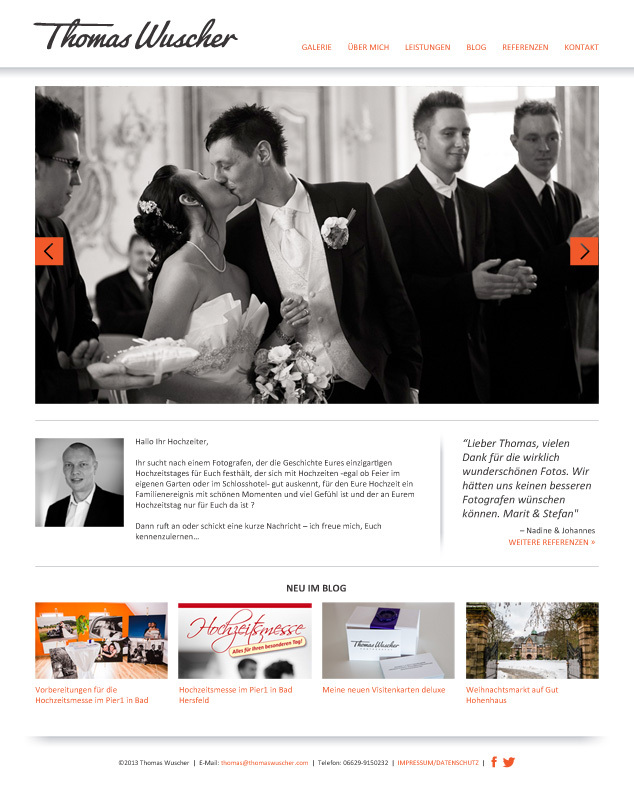 The new website will be built in WordPress using a custom designed theme. This theme, currently in the design stages, will be available for purchase in the United States once complete. Below is a sneak peek at some of the main pages. Check back soon for the official website launch.